While not strictly in the books, this Milk Tea is a perfect pairing for our traditional Blood Pies (recipe forthcoming). I came across it while doing research into the blood pies, and thought it really fit the Dothraki setting. What’s more, the Mongolians know what they’re about: it is great with the meat pies! Don’t think of it as tea, or as milk, and you will probably like it as much as I did. The roasted millet gives it a slightly earthy, nutty taste, while the small amount of butter provides richness. The tea is not all that prominent, but just present enough to lend the drink a decidedly foreign feel. For something extra, spoon up the millet in the bottom of your cup; the merest of pops should remain in what your brain will register as a type of hot breakfast cereal. It puts me in mind of dark, musty yurts on the Dothraki Sea, a fortifying drink before the day’s ride, or a refreshing sip to wash the dust from one’s throat in the evening. I had two servings. Cook’s Note: Ideally, brick tea would be used, but since most of us don’t have that readily available, loose or bagged tea will also work. In a medium saucepan, add the millet, butter, and dash of flour. Toast over medium heat until the millet and butter are golden brown. Add the two cups of water, and the tea, in a strainer or in bagged form. Allow to simmer for about 5 minutes, then remove the tea ball/bags. Add the milk, and simmer for 5-10 minutes more, or until the millet is soft. Season to taste with salt. Pour into individual mugs or bowls, making sure to put a helping of millet into each. So, needless to say, I was scratching my head for a minute when I read the title. Then, I started picturing Khal Drogo chillaxing as he coolly sips from a huge straw the diameter of your pinky; drinking from a little, see-thru, plastic cup an ice-cold, milky concoction heavy with black ‘pearls’. But anyway… I really like the sound of this tea/drink/thing. I can totally picture the Dothraki drinking this. Can’t wait to try this! Oooooh, this looks tasty. I’ll have to try this the next time I can’t sleep. On another note, are there any plans to attempt clotted mare’s milk/kumir in the future? I’ve always wondered if that would be a fun cocktail or a guaruntee of insane stomach problems. Something along these lines is definitely coming…I’ve just found a resource for mare’s milk! I love millet! I will definitely try this out. I’ve been enjoying following your posts. Very creative. This rich and filling tea reminds me of Altai tea that I learned to make at the Altai Mountains expeditions with my mother. Locals (shepherds mostly) made green tea and added there some melted mutton fat, horse (or goat) milk, and salt to taste. This is not just a drink that will fill you with pleasure during a day of labor, but also a savior for a lost traveler in the thicket of forest taiga. It’s highly nutritious, and one can live on this tea only for many many days without any other food. Good to know for every person attempting to travel in the wilderness. What a wonderful personal account, Nadia! Thanks so much for sharing! It’s a pleasure. :) Please post more of such exotic stuff – so many interesting recipes are lost in time. Yummy indeed! The only mistake: I made it NOW, during the hottest summer days >.< But as we all know, a long summer precedes a long winter, and in winter this will be a wonderful warming drink. On the other hand, it might also taste nice when cooled. I will try that. Tried this, substituted barley for millet which gave a lovely smell but although inkeeping with the mongolian feel I didn’t like salted tea. If you try making this and find it a bit inpalatable add a bit of brown sugar (not much!) and you’ll find it a little easier to consume. On the subject of roasted grains with tea, I used to enjoy a japanese tea with roasted rice. I cant remember the name though. Also Barley tea (Mugi-cha) is great chilled if you haven’t tried it. Genmai-cha is the name for Japanese green tea with brown rice. (Note of clarification for those not familiar with it – the brown rice is actually dried and mixed with the tea leaves, not added later.) It’s delicious. Also commenting to say that this recipe reminds me of the Tibetan tea I was given sometimes while traveling through Northern India and Mongolia. 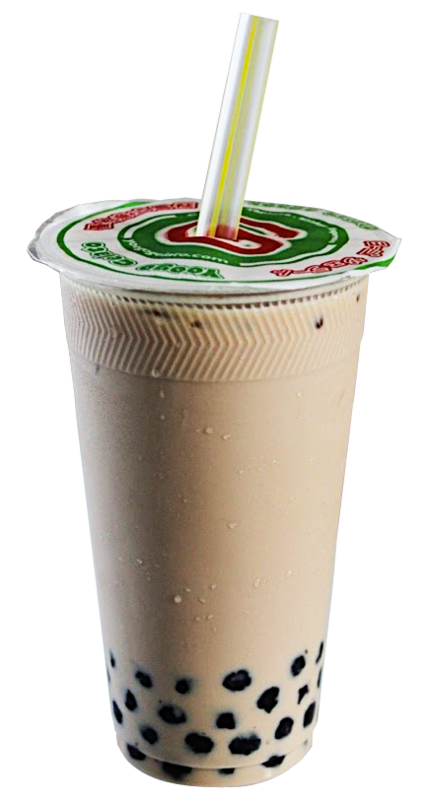 They had two types of milk tea – sweet and savory – and the recipe for this sounds as if it might taste a lot like the savory variety. I will have to try a batch when it gets cooler – it might bring back a lot of memories. This recipe reminds me of horchata which is milk with rice/almonds/sesame seeds and cinnamon, vanilla and/or sugar. This is fascinating. I write about tea for a living and have read many articles and books about tea. No one has ever mentioned that the Europeans of this era might have been exposed to tea. This brings to mind Tibetan Butter Tea, which I tried to make years ago, with mixed success. They’re not actually very similar, but Mongolia makes me think of mountains which makes me think of Tibet, and there you have it. Also, did you use salted or unsalted butter? Would it even make much difference? I think salted butter would be best, since it’s sort of a savory, warm beverage. I guess the summer version of this drink is ayran: rich yoghurt topped up with icecold water in a 1:1 ratio, add a pinch of salt(1/2 teaspoon for 1 liter works for me). stir well and serve chilled. The excellent rehidrating and resalining drink for those days when you sweat your asses off. bubble tea is totally different than mongolian milk tea! ur saying like coke is same is milk shake lol! I suspect the Mongols, much like the Dothraki, would use whatever they could get! Glad it was a success- the chai version sounds delish! I’ve got a link here for the traditional Mongolian diet, as recorded by a Russian chap who travelled through the area – really quite fascinating!